The new IXXAT FR-IB100/PCIe card available from CAN + Automotion is a cost-effective and high-performance interface card designed for FlexRay analysis and control applications in addition to FlexRay start-up behaviour analysis in asynchronous analysis mode. 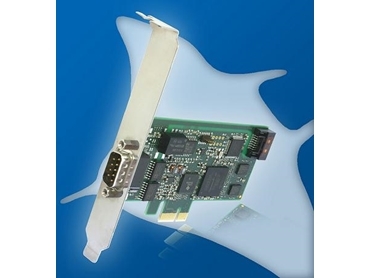 The PCIexpress interface card comes with an on-board 32-bit microcontroller system as well as two FlexRay channels (2 x 10 MBit) with Freescale MFR4310 protocol chip and provides a time stamp resolution of 100 ns. The FR-IB100/PCIe interface cards are suitable for desktop PCs at laboratory workstations and in industrial computer systems such as test benches. The compact design of the interface cards allows low profile installations.